Im a Fan of Empire Model & Talent Academy... Are you? Fill in the below form and you can recommend ‘Empire Model & Talent Academy’ to a friend or family member via a text message. Show your support with a quick share of ‘Empire Model & Talent Academy’. La academia #1 en Utah ❤️Me encanta su profesionalismo y muy responsables, siempre pendiente de cada detalle ! Soy fan porque johnny es muy buen director , el es muy bueno, axcesible con sus alumnos , a todos/as las trata igual , no tiene preferencias ….me gusta porque siempre ase cosas diferentes porque seuido tiene eventos donde lleba alas chicas y chicos y eso les da mas motivacion a todas/os johnny Mosqueda te admiro y te respeto por todo tu prefesionalismo. 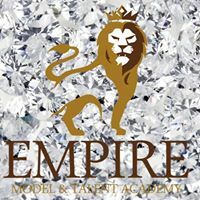 Arriva Empire Model &Talent Academy. I am a fan of this company because they have great directors and classes, and have great oportunities and learn a little of everything! All the girls that become part of this academy learn how to walk in heels, dress better, be more confident and over all become more open with other people! 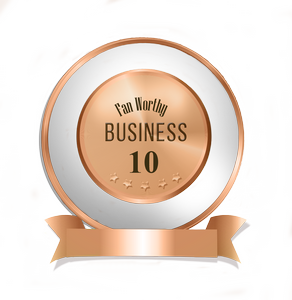 This is a serious agency. The owner as well as teachers are focused on the progress of the models. Not only do they care for their models as models, but as people too! They give service as a group and enhance lives, not just with perfect expertise, but with servie as well! I do have so much respect for Johny , he is professional , responsable and very talented !! Congrats my friend !! Soy fan porque es una compañía que está dándole la oportunidad a muchas chicas latinas de surgir, de motivarlas a seguir adelante y encontrar mil razones para crecer como mujeres y como personas. Esta entidad no sólo se esfuerza por enseñar modelaje sino que trabaja en Desarrillar todo el potencial humano integral de cada una de las niñas afianzando su autoestima, seguridad Y relaciones interpersonales . Johnny is very passionate on what he does, and wants his models to succeed and be the best they can be. I have seen how much the girls have learn, I know a few of them. And I can tell the difference of when they started! They walk with confidence and with a lot of character! Empire Model Academy is a very unique Model Agency! Well experienced, professional, punctual, and great group for fashion shows, Pagent’s and more. I’d hire them and work with this group many times over. Thank you!!!! Awesome model academy I am a fun because I can see they always have great things to learn, the owner is the Best always looking for the growth of His students and making sure they have the best opportunities out there . I am aware of their involvement with the community, always supporting worthy causes while teaching girls about self care, self esteem, work ethics and anti bulling.